Samsung Galaxy S4 GT-I9500 is the feature loaded, power packed and fully optimized Android 4.2.2 Jelly Bean mobile operating system Smartphone from Samsung and it has been used in all over the world. 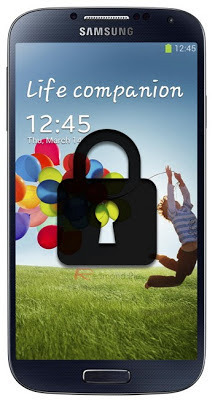 Earlier; we had shared the tutorial and guide on How to Carrier/SIM Unlock Samsung Galaxy S4 GT-I9505 Smartphone for our users and today we are going to share How to Flash and Root Samsung Galaxy S4 GT-I9500 On Android 4.2.2 Jelly Bean Mobile OS. Flashing and Rooting of Android 4.2.2 Jelly Bean will helps Galaxy S4 GT-I9500 smartphone users to get complete control over all system files and folders and these files can be easily access after flashing and rooting through which we can fully customized and optimized Samsung Galaxy S4 GT-I9500 Smartphone like the way we want. Like always; User needs to follow below guide and tutorial at their own risk and we at TechGlobeX are not liable for any damage and loss occurs when following below steps. Samsung Galaxy S4 GT-I9500 user needs to flash the Cofface’s ClockworkMod Recovery before Android Rooting (its mandatory requirement for every devices). Don't forget to take a full back-up of your device before starting the tutorial and guide. So let's start the Tutorial and Guide on How to Flash and Root Samsung Galaxy S4 GT-I9500 Smartphone On Android 4.2.2 Jelly Bean mobile operating system. Step 1: First, Download the prerequisite files from above links, and unzip them in any folder of your PC/Laptop. Step 2: Now, Put your Samsung Galaxy S4 in Download Mode using the button combination. Power off your device, plug USB cable to your computer, hold down the Volume Up + Down combinations, plug in the USB cable to your S4 while still holding down the volume buttons. Step 3: Launch Odin3 on your computer, and connect your device in Download Mode to the PC using USB cable. Odin3 will detect the connection and indicate a COM port on top. Step 4: Under PDA, select the cofface_samsungI9500_recovery_en_0503.tar file to flash the recovery, which will later be used to root the device. Make sure that Re-Partition is unchecked, and don’t touch any other setting. Hit the Start button to begin flashing the new PDA. Step 5: Once the flash is complete, the phone will reboot. Wait for boot to complete, and then power it back off. Step 6: Reboot the phone into CWM recovery that you just installed by pressing and holding Volume Up + Home buttons whilst powering on the device. Step 7: In Recovery, go to root your phone, followed by choosing any of the two methods. CWM Recovery will notify once the process is complete. Step 8: Now, Reboot your Galaxy S4 GT-I9500 once again, and you will have the Super User app installed on your Galaxy S4 GT-I9500. Please ensure to not update the su binaries after this. Congratulations!! You're Done!